How to download uc browse or opera mini or what'sapp for this phone????? Nokia is no doubtly a good brand. 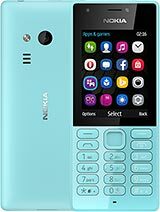 But nokia 225 is n't a well phone from all point of view.it is good acording to the price.it does not support java app,but it support some "VXP" app live OPERA MINI 4.4.VXP & like some vxp games. How do I download Whatsapp program for this mobile ?? this phone does support any HQ video, HQ picture, any software. sometime i cannot download any vital information from Internet. does this phone support call recording facility or any other software available for call recording?? How to change camera shortcut on home screen to contact shortcut? how to save things in phone memory rather than SD card? no option for changing memory place??? Mobile data » Data roaming: Allow roaming (just for testing)? This Feedback to Nokia problem is really ***ing me off. I did the feedback thing three times, and it still comes up. I turned it off dozens of times, I tried the internet-options-feedback, but it doesn't disappear. I am beginning to hate this model, and Nokia altogether.